Based on the New York Times bestselling book and revolutionary diet program that has swept the nation, a collection of easy, delicious, and healthy recipes that will help readers lose weight fast, and keep it off. The #1 bestselling 17 Day Diet offers a lifetime plan for shedding pounds fast in a safe and lasting way. Now, The 17 Day Diet Cookbook is here to help you meet your weight loss goals in a healthy and delicious way. Packed with brand-new recipes, The 17 Day Diet Cookbook offers an easy way to prepare healthy meals at home that will appeal to the whole family. Organized to help you follow the diet’s 17-day cycles, the cookbook contains easy recipes for breakfasts, lunches, dinners, snacks, and desserts. Designed for the busy home cook, these nutritious and tasty dishes take about half an hour of active preparation and do not taste like diet food. You will be able to craft great meals that will satisfy everyone you’re feeding while helping you reach your weight loss goals. Quick show of hands: How many people have rapidly lost a significant amount of weight on the 17 Day Diet? Let’s see, that’s one, two, three . . . uh, looks like a lot of people. Now, I’m happy to say that you’re going to be able lose even more weight and enjoy it even more with this brand-new cookbook. 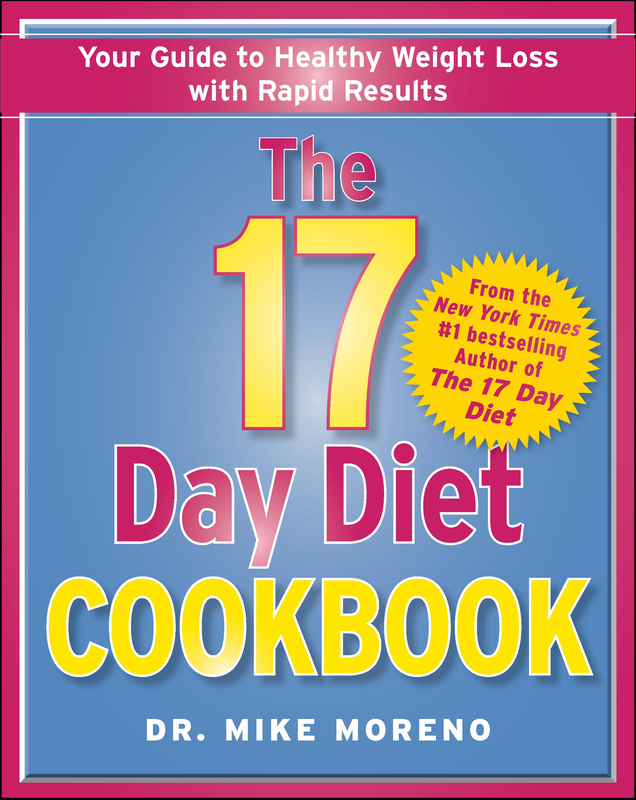 Introducing The 17 Day Diet Cookbook. Before you start to panic, rest assured that you don’t need to shout and jump and spin knives, make meals that look like a major work of art, or get a degree from Le Cordon Bleu. All you need are some easy-to-follow, easy-to-prepare recipes that are extraordinarily delicious. This cookbook gives you all that and more. Most of the recipes can be prepared in 30 minutes or less. There are no long lists of ingredients, complicated cooking methods, or hard-to-understand directions. All the recipes are built around the foods you eat on the 17 Day Diet. The 17 Day Diet is a 4-cycle nutrition program that makes it fast and easy to lose weight, without feeling deprived or hungry all the time. With this companion cookbook, you’ll have delectable recipes at your fingertips so you can lose even more weight without giving up delicious foods. It’s the perfect way for people with refined palates to lose weight and get healthy. 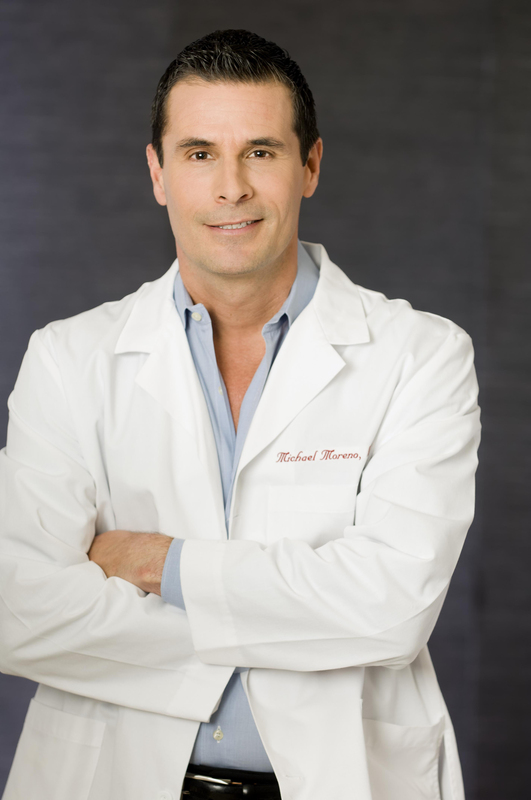 As a family practice physician and an advocate of preventive health, I believe healthy food can still be wonderful. I refuse to accept that a diet has to involve going to extremes or that diet food has to taste like cardboard. It doesn’t! It just has to be thoughtfully prepared, in a reasonable amount of time, and taste incredibly good. That’s the kind of food you’ll find in this book. I encourage you to try several of these recipes each week to reap the benefits. Broken record, I know, but if you’re going to eat healthily and lose more weight, you need to cook more at home. When you do, you have control over what you eat and more control over how much weight you ultimately lose. My nutrition team has developed recipes that taste good and are high in nutrition. We use ingredients that are mainly found in your average grocery store. Use these recipes, and you may never feel like you’re on a diet, either! What I enjoyed most about putting this cookbook together was that I got to sample and test new recipes before they appeared in this book. Some of my favorites are Polynesian London Broil, Tuscan Pork Tenderloin, Crab Cakes, Open-Faced Reuben, Spiced Edamame, Microwaved Mashed Potatoes, Mexican Chocolate Pudding, Chocolaty Frozen Yogurt . . . well, I could go on and on. They’re all my favorites! I’d like to emphasize, too, that cooking at home can also save you a bundle, because you’ll likely spend less buying groceries than eating out, and it even can make dating cheaper. After all, who isn’t impressed by a partner who knows how to cook? Restaurants must charge high prices in order to pay their employees and other bills. If you cook at home, you design the menu and keep the tips yourself! For health and wealth, there’s just no match for a good home-cooked meal, so please start serving more of them. Home cooking isn’t rocket science, either. Lots of us cook and eat. And lots of us love to talk about cooking and eating. We’re obsessed with food. With all due respect to baseball, eating is America’s real national pastime. Personally, I just love food. Food and I go way back, more than 43 years now. One of my favorite ways to relax from a day at my office is to come home, roll up my sleeves, and fire up the oven. I’m quite satisfied in the kitchen, experimenting with new recipes, sipping a glass of wine, and enjoying what I’ve created. And you’ll get to enjoy some of these creations right here in this book. So, if you’re in a dietary rut, want to lose even more weight, or are in need of a little inspiration, The 17 Day Diet Cookbook is for you! The 17 Day Diet is a 4-cycle program designed to take weight off rapidly. Isn’t that what you want? Hardly anyone I know likes to endure depressingly slow weight loss. We want to be trim now, look great now, and feel great now. The 17 Day Diet gets you to where you want to be quickly, without a lot of sacrifice, hunger pangs, or cravings. The diet is nutritionally sound, easy to follow, and it works. I call it the best thing since the sliced bread you’ll give up (but only for the first 2 cycles). Trust me, this is a phenomenal diet. I’ve had people lose 10 to 12 pounds over the first 17 days, and kept losing steadily right down to their goals. Of course, individuals do vary in their results. The beauty of this program is that you won’t get discouraged or bored by the prospect of staying on a diet for what seems like forever because you’re shedding fat so quickly. You’ll love the fact that in 7, 10, or 17 days, you’ll be slimmer. And if your results are like so many others, you’ll feel a lot lighter and have an absurd amount of energy. The beauty of the 17 Day Diet is that it works in 4 cycles, depending on how much weight you’d like to lose. Cycle 1 is the initial 17 day period during which you give up all bread, rice, potatoes, pasta, baked goods, fruit, candy, cake, ice cream, and alcohol. It’s the strictest period, but also when the most rapid weight loss occurs. And it’s easier than you think. You won’t even miss carbs after a few days, because your body gets used to not relying on them. You get to eat unlimited amounts of certain proteins and vegetables. And you’ll supplement your daily diet with probiotics like yogurt and kefir, foods shown in research to help the body burn fat. The great thing about Cycle 1 is that you can use it anytime: when you need to break a plateau, get back to your goal weight, fit into a smaller dress size for the weekend or a swimsuit for a cruise, anytime you want to accelerate your weight loss and do it safely. Cycle 1 is one of your best quick-weight loss resources. During Cycle 2, you slowly begin to reintroduce certain carbs, such as legumes, whole grains, and starchy vegetables, along with lots of other foods. Weight loss continues, and still fairly rapidly. And now, you can drink a little wine, something most diets forbid. On Cycle 3, you get to eat a huge of array of healthy foods: breads, more meats, more starches, and fun foods like low-carb frozen dessert treats. You ease off some of the strictness of the first 2 cycles, while still continuing to knock off pounds. Every 17 days you’re changing things up, so you never get bored. Every day is exciting, because you see the results on your scale or in your more loosely fitting clothes. Cycle 4 is the maintenance period that, ideally, you stay on the rest of your life. It lets you stay at your new weight as long as you do two things: enjoy yourself on the weekend, and use your favorite cycle during the week. So, once you’re happy with your new svelte self, continue to enjoy occasional forbidden foods. Just do so carefully or you’ll find yourself back on a slippery slope to your prediet weight. If you fall off the wagon for a weekend or, say, on a vacation, don’t panic. Just jump back to Cycle 1 to quickly shave off any weight you gain. Eliminating unhealthy foods from your system keeps them from making a beeline to your belly and elsewhere. Healthy foods do the opposite. The higher amounts of lean protein you eat on this diet, for example, boost your metabolism in a number of physiologically active ways. This diet is high in fiber, too, which is an appetite suppressant, a detoxifier, and a food component that ushers bad calories out of your system before they have time to camp out on your thighs. Then there is the addition of probiotics, now believed to keep fat formation in check. Another reason that the 17 Day Diet works is because you’re changing your calorie count and the foods you eat. By varying these things, you keep your body and metabolism guessing. I call this body confusion. The scale is less likely to get stuck. The added bonus: You’ll never get bored. And it’s fun watching those pounds melt off. So, confusion is good! But, more important, the 17 Day Diet works because it’s realistic and sustainable. Nothing derails a diet faster than distressing round-the-clock hunger pangs, or boredom. But the 17 Day Diet isn’t about depriving yourself of food or variety. I encourage you to eat until you are no longer hungry, even snack between meals, as long as you’re eating the right foods. That doesn’t mean just broccoli, either. Nuts, cheeses, and other delicious foods are permitted as you progress through the cycles. There are so many choices, too, that you’ll never get bored. Arrive (ongoing) To keep you at your goal weight through a program of eating that lets you enjoy your favorite foods on weekends, while eating healthfully during the week. Each section features delicious breakfasts, lunches, dinners, and snacks that match the cycle you’re in. I show you how to use those recipes by giving you menu plans for each cycle. That’s a total of 51 daily menus to help you. Follow these delicious meal plans, week by week. They will give you structure, which helps guard against unplanned eating, plus you can learn about some new foods and ways to prepare them. The meal plans are low in fat, high in fiber, packed with nutrition, and designed to trigger rapid weight loss. I strongly believe that the way you eat to control your weight must continue for the rest of your life. These meal plans can help you do that. They provide a lifelong foundation for a healthy, enjoyable, and satisfying way of eating. Now that you’re acquainted with how the 17 Day Diet works in conjunction with this cookbook, it’s time to take action. People who have used this plan have told us they could not believe how effortless it was to lose weight and keep it off. Why? Because the 17 Day Diet is a way of life. Unlike your past dieting experiences, you’ll never need to quit. As long as you keep going, you’ll see results. Beginning in Cycle 1, you’ll start to shed unwanted pounds and renew your vitality. I know you’ll enjoy what we’ve cooked up here. These are recipes that can satisfy your appetite and help you drop pounds. Each one has been created to help you succeed at getting your weight under control without skimping on the flavors you love. I know you want meals that are quick and healthy. You want them to taste wonderful, you want them to help you lose weight, and you want them now! Seems like a tall order, but that’s what these recipes deliver, especially if you’re prepared. Just start with a cycle’s worth of meals, and do it. Having the right ingredients on hand, plus kitchen equipment that makes preparation easier, will make cooking quicker and more healthful. Time-savers are built into each recipe, too. For example, they take advantage of healthy convenience foods available in supermarkets, such as boneless, skinless chicken breasts. All you have to do is apply the finishing touches. For side dishes, you’ll use quick-cooking staples such as washed greens and salad mixes, frozen fruits and vegetables, and quality convenience products, such as prepared salad dressings and low-calorie condiments. Preparing the 17 Day Diet recipes requires no special equipment, although some appliances (suggested but not required) can help, and these are listed for you here. There are few meals that can’t be made leaner or healthier by using cooking methods such as broiling, steaming, baking, lightly stir-frying, microwaving, and sautéing in water or with vegetable cooking spray. With every new recipe you try, you will discover low-fat and low-carb cooking tips; healthy methods of food preparation; ways to cut the fat, sugar, calories, and cholesterol; and how to use fresh herbs and spices to add flavor. We also include important information on kitchen tools that can help you prepare healthful meals. You may already have a lot of the gear in your kitchen. The rest you should be able to pick up at any kitchenware or houseware store. Consider these tools to help you get your weight under control. The more weight-loss tools you have, the more successful you will be. Now, the 17 Day Diet recipes. Enjoy!